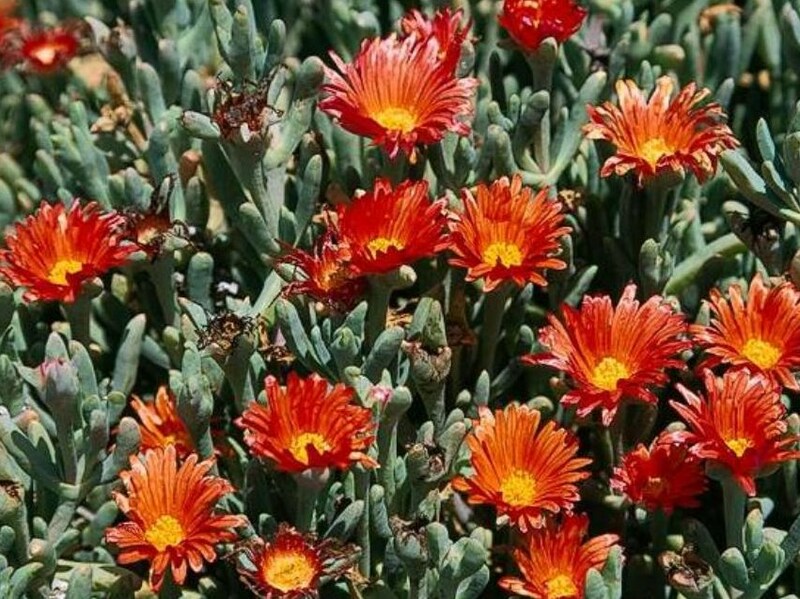 Malephora crocea (coppery mesembryanthemum) is a herb/subshrub (family Aizoaceae) with red flowers and narrow succulent-like leaves found in the south coast ranges of California. It is native to southern Africa. It favors grasslands, dunes, and scrub and chaparral habitat. It spreads via seeds and root nodes. Water helps disperse the seeds.